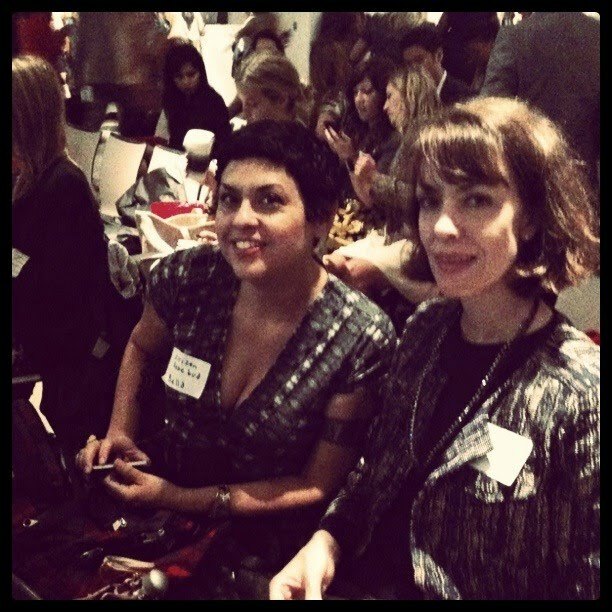 Bella and me at the Independent Fashion Bloggers Conference last September. Photo by Elissa Stern of Dress With Courage. I’m over at the Citizen Rosebud today, doing a guest post for my friend Bella, whom I adore. The topic is place but I couldn’t help writing about Bella because it was such a treat to meet her in person last September at the Independent Fashion Bloggers conference in Manhattan. I hope she comes back to Brooklyn soon. For the post I shot some pictures of my favorite walk in my neighborhood, from Prospect Park West to Grand Army Plaza. I never get tired of seeing the Soldiers’ and Sailors’ Arch, honoring those who fought for the Union during the Civil War. I think of it as Brooklyn’s Arc de Triomphe. 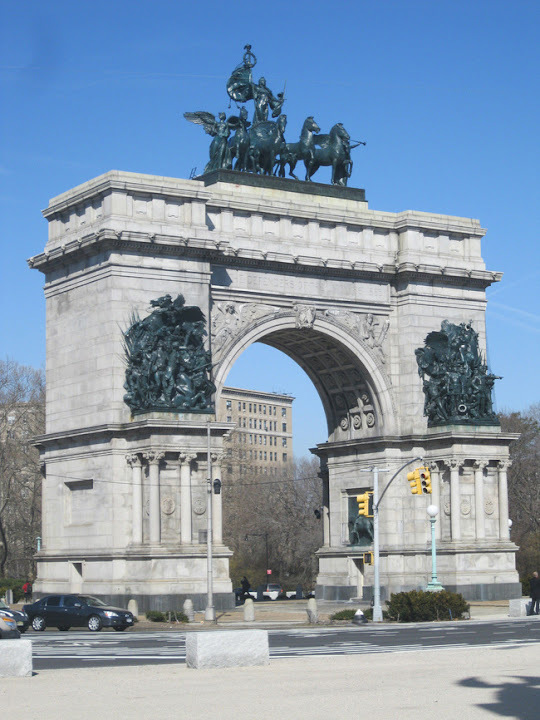 The Soldiers’ and Sailors’ Arch at Grand Army Plaza, Brooklyn, NY. Do head over to the Citizen Rosebud for more photographs! I read your post on Bella's site...sounds like so much fun! Would love to meet up with you both in NYC someday...I can dream! I am so jealous seeing bella and you, ahhhhhhhhhhhhhhhh. I wish i was with you too. I really enjoyed your article over at Bella's place today and it was great to learn a little bit about your neighborhood. How wonderful that you were able meet Bella in real life- it's so nice to make those in-person connections. I love the photo of the two of you together...and will get to your guest post there. Just stopped by your beautiful guest post, and I loved all of it! Couldn't agree with you more about the sheer splendidness of Bella, too. What an inspiring lady! I found you through Bella, and now follow! love your photos with your kids paintings in the background in one of your prior posts. Aw, there you both are! Going over to see you at TCR.